We provide our clients with a comprehensive range of Machinist files, which is light in weight, thus, easy to use. These are durable, anti-corrosive and mainly utilized in steel cutting industry. Manufactured using high-grade raw material and sophisticated technology, these are in line with prevailing quality standards. Further, these can also be designed to suit clients' varied requirements. We offer Half Round Machinist Files. In addition to this we are involved in manufacturing of Hand Tool to suit the customer requirement with high accuracy and finish. Apart from this, our esteemed clients can choose from us these premium quality tools at pocket-friendly price. Shree Ganesh Collets Pvt. Ltd. Heavy duty body. All painted oiler Chrome plated thumb lever, Detachable rigid & flex spouts 1/4 x32 threaded. • Body is seamless drawn. • All models are available in steel & brass pump as per order. • Color as per order. • Pump has two ball valve for large volume delivery per stroke. The Mechanical Hand Tools are used in diverse industrial applications. 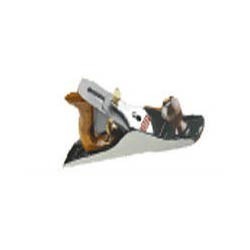 We, being an eminent Supplier of Hand Tools, bring forth the high-quality Stanley Mechanical Hand Tools for the clients. Product Details: Minimum Order Quantity1 Unit Product Description: The Mechanical Hand Tools are used in diverse industrial applications. We, being an eminent Supplier of Hand Tools, bring forth the high-quality Stanley Mechanical Hand Tools for the clients. Specifications: Strapping: For use on 3/4" and 1" (19 mm and 25 mm) High-Strength Tenax polyester strapping. A hand tool is any tool that is powered by hand rather than a motor. 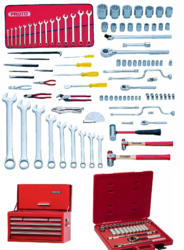 Categories of hand tools include wrenches, pliers, cutters, striking tools, struck or hammered tools, screwdrivers, vises, clamps, snips, saws, drills and knives.